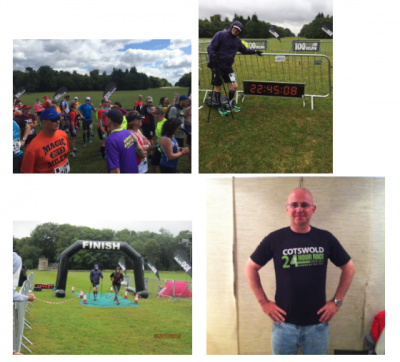 David undertook this gruelling Cotswold 24 hour Race in order to raise funds for local charity Headway, Cardiff. Headway Cardiff has been providing support and services to people affected by acquired brain injury in south east Wales since 1985. It endeavours to fill the significant gaps in specialist statutory community services for people following their discharge from hospital and to provide the life-long support. Their services include; Specialist Day Centre, Counselling, Information and support, Social Groups. David expresses his thanks to all who have supported by way of sponsorship and encouragement during his training.